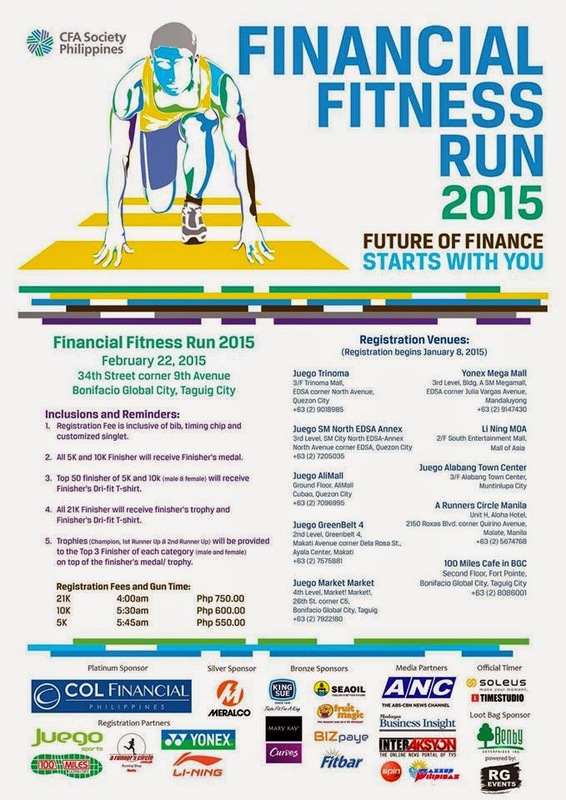 The annual fun run of the CFA Society Philippines dubbed as the Financial Fitness Run 2015 will be held on February 22, 2015 at Bonifacio Global City (BGC). 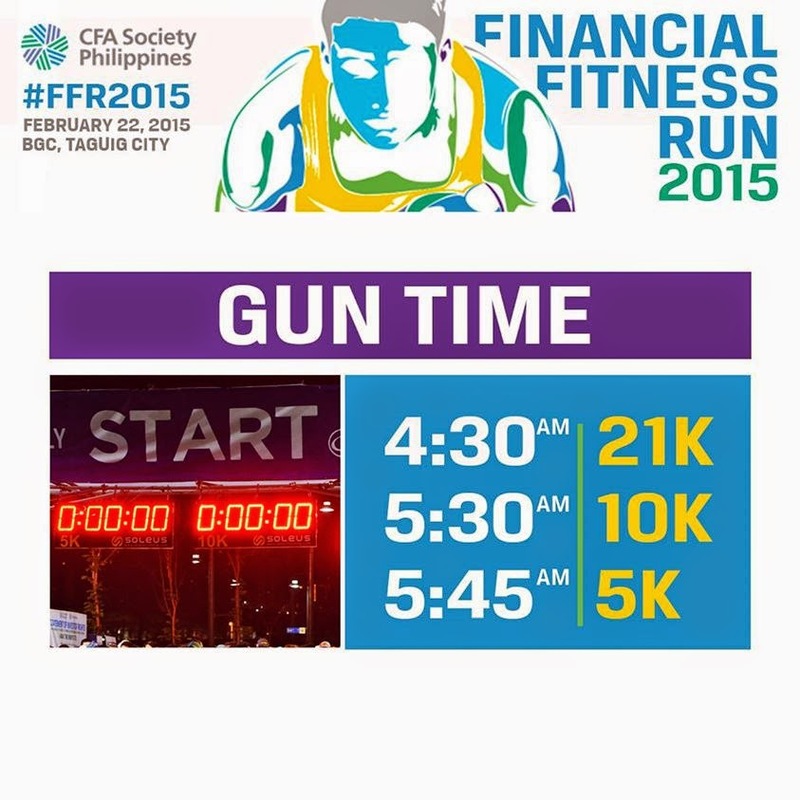 The fun run aims to capitalize on the popularity of the running sport in educating the investing public about the importance of being financially fit and how to be financially fit. For the second installment of Financial Fitness Run, CFA Society Philippines will highlight key principles and practices that will help individual investors successfully reach their retirement goals by introducing the “Essentials of a More Secure Retirement”. Three (3) distances are available: 5K, 10K & 21K. Registration Fee is inclusive of bib, timing chip, customized singlet. 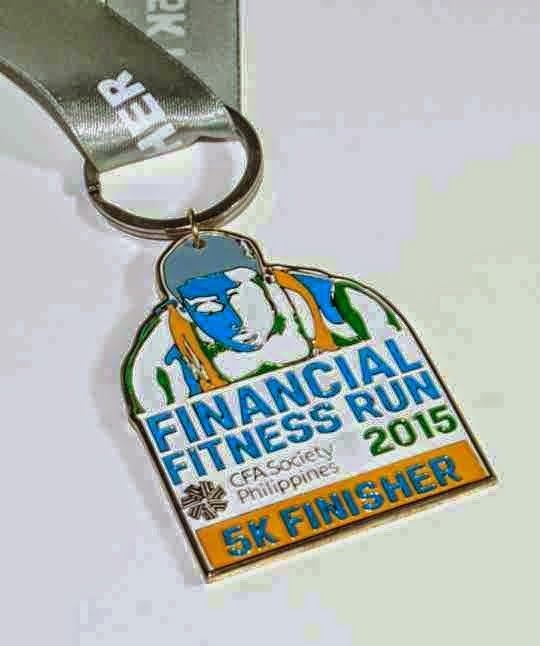 All 5K and 10K Finisher will receive Finisher’s Medal. Top 50 finisher of 5K and 10K will receive finisher’s shirt (Male and Female). All 21K Finisher will receive finisher’s trophy. Trophies (Champion, 1st Runner Up & 2nd Runner Up) will be provided to the Top 3 Finisher of each category (male/female) on top the finisher’s medal/trophy. CFA Society Philippines & RG Events Co.